Between constant stocking orders, retail sales, and shipments in and out, your inventory is likely in a constant flux. Your supply may change from day to day, if not hour to hour. As a small business owner, you know that keeping track of things in an Excel spreadsheet isn’t going to cut it; tracking your inventory in real time is vital to staying informed about the state of your warehouse and maximizing your success. However, simply knowing the number of goods sitting in your warehouse may not be enough to truly understand how your business is doing. To get a greater sense of your performance, you must also track some more dynamic inventory metrics, which can be best accomplished with the right inventory management software. From turnover to accuracy, here are the inventory metrics you should track in your warehouse. Inventory “turnover” is a measure of how often a business sells through its entire inventory in a set period of time (often a year). To calculate it, simply divide your total sales by your average inventory value; instead of sales, you can also use the cost of goods sold. The ideal number of times an inventory turns over in a year can vary greatly between businesses, even within the same industry, so this metric is best used to assess and improve your internal operations. This metric is often used to gauge if a business has excessive inventory compared to its sales. According to a Forbes article, Excess inventory can be a huge financial drain, as it affects many aspects of your business, from the cost of storage to the taxes you pay on your inventory. Knowing how frequently you sell through your entire inventory can give you a better idea of how you should stock, so you can avoid those extra costs and focus on boosting your profits. Return on investment (ROI) is a ratio used to determine a business’s profitability. It is calculated by taking your net profit and dividing it by the cost of the investment. ROI is a way of looking at the relationship between your investment and the profits gained from it, and it can help you determine your business’s performance. Generally, the greater this number is, the better — a high ROI indicates you are getting a greater return on your investment. ROI is a versatile measure that can be used in several ways. You may want to calculate the ROI of your overall business, but you can also measure the ROI of a particular category or product. This can be especially useful for products that aren’t selling well and help you decide what you can do to improve their performance. It may make sense to invest a little more money into, or lower the price of, the product to help it sell better or discontinue it entirely because its ROI is too low to justify the cost. Though it is a simple ratio, it can have a huge impact on your business, if you use it correctly. Sell-through rate is a calculation that is used to measure the amount of product received from your manufacturer against the amount of product sold to your customers in a specified period of time. To calculate it, take your total sales and divide that number by your stock on hand. Multiply this number by 100 to convert it to a percentage. The ideal sell-through rate varies from business to business and is impacted by a number of factors, such as your specific company and historical performance. Sell-through rate can help you discover issues with your supply chain management and gain insight into which products are under- or overperforming. Generally, a low rate indicates that your products are not selling well and an exceedingly high rate means you aren’t keeping enough inventory in stock to meet your demand. In other words, you want to strive for a happy medium — you don’t want products taking up valuable shelf space in your warehouse that won’t sell, but you also don’t want to lose out on potential sales because you sold out of a popular product too quickly. Sales velocity is a way to measure how fast your products sell when they are available to your customers. Its equation is a little more complex than the other ones we’ve covered so far; to calculate sales velocity, multiply the number of potential customers in a given period of time by the average selling price of a product and customer conversion rate, then divide that number by the average length of time it takes for a customer to convert. Sales velocity is particularly useful to estimate or forecast your sales because it looks at multiple factors that affect their speed. By having more insight into how customers interact with your products, you can better determine how to maximize sales. Tracking and saving this data may also benefit you in the future as your company expands and grows. Inventory carrying cost is a metric used to determine how much money you spend on storing your inventory. These costs typically include things like taxes, insurance, and the literal cost of storage. To calculate your inventory carrying cost, simply add up your various inventory expenses. Divide that number by the average value of your inventory to determine how much of your total expenses are spent on carrying costs. Similar to other metrics, inventory carrying costs can vary greatly between businesses. 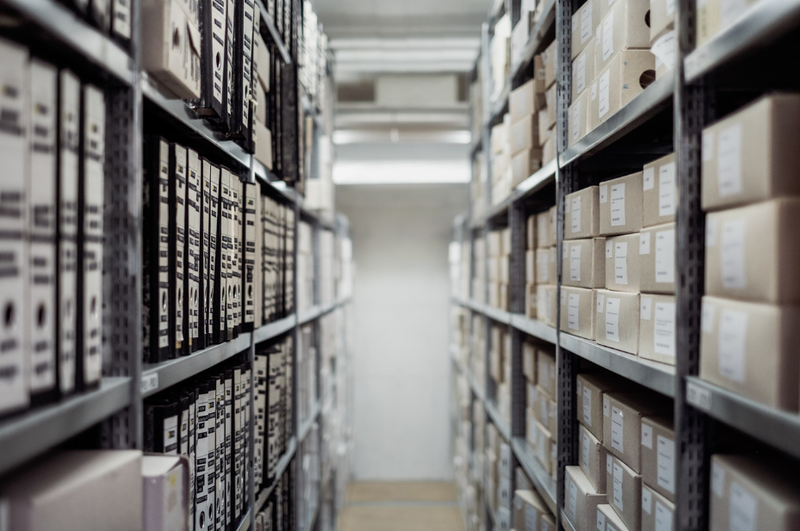 While you likely want to maintain a certain level of quality in terms of your inventory storage, it’s better for business to keep these costs down when possible. For example, switching to a free inventory software system is a simple way to reduce costs without compromising on quality. Inventory accuracy is a measure of how closely your physical inventory count matches your records. This number is relatively difficult to calculate, as you must physically count your inventory and compare that number to what you have recorded. Subtract these two numbers, divide the difference by the accurate count, and multiply that number by 100 to find the variant percentage of inventory accuracy. This is, perhaps, the most important warehouse metric to keep track of. Inventory accuracy can be difficult to maintain, notes an article on The Balance Small Business, but you cannot make the best decisions for your business without knowing the state of your inventory. It takes time and effort to do so; you need to keep your warehouse as organized as possible, do regular full-inventory counts, and use an accurate inventory tracking system to try and maintain accuracy. However, improving accuracy and tracking this metric over a length of time can give you the knowledge you need to grow your business. To succeed as a small business owner, it’s important to track these metrics to truly understand your organization’s performance. Not only can they benefit you at the time of calculation, but they can be more valuable as time goes on and you accumulate historical data. After all, if you have more knowledge and insight about the state of your inventory, you’ll be able to make well-informed decisions to help your business succeed.